Carol Frazey currently serves on the Whatcom County Council. 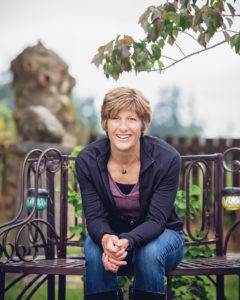 She brings a broad and open perspective to the issues facing Whatcom County. Carol is a business owner, a former teacher, the mother of two teenagers who attend Sehome High School, and her husband is an instructor at Whatcom Community College. Carol and her husband, Paul, have been married for 25 years and have lived in Whatcom County for almost two decades. Carol is dedicated to preserving opportunities for all residents in our community. Carol grew up on a farm in rural Pennsylvania and is the granddaughter of coal miners. Coming from this unique perspective, she understands how environmental regulations may put extra burdens on farmers. As a mother, Carol also wants clean water and clean air for her children, great-grandchildren, and our future generations. Carol Frazey cares about Whatcom County’s future and promises to look at the long-term effects of every decision she makes, and to seek input from those most affected by these decisions. She is willing to ask the uncomfortable questions and take the time and effort to find win-win solutions to help her fellow councilmembers hear your voice. Be a part of our team by donating, volunteering, and/or subscribing.